Like many millennials, I have fond memories of the 1997 movie Anastasia. I remember dragging my mom to the movies after I’d begged her to take me to see it. I remember being absolutely entranced with this music, especially “Once Upon a December.” I even remember being freaked out to high heaven literally any time Rasputin came on the screen. It was, in my opinion, the best animated film Disney never made, and it was one of the most magical because it was able to turn a tragic story into something magical and triumphant. Now, on the 20th anniversary of the film’s release, I think that it’s high time we revisited this film, not only to celebrate its place in the memories of millennials everywhere (because I know I’m not the only one who has endeared Anastasia to themselves over the years) but also because the story behind the film is way, way darker than the film itself. If you have never heard of the real Anastasia or the story of her death, you may want to buckle up. The murder of the Romanov family is connected to one of the most major political uprisings in the 20th century, the Russian Revolution (comprised of the February and October Revolutions), and it is also one of the most haunting politically motivated executions. Anastasia was not the only one murdered by Russian militia; it was also her three older sisters, her younger brother, and her parents, Tsar Nicholas II and Tsarina Alexandra. The lives of the Romanov family were short and, for a brief time, incredibly happy and privileged. Sadly, it is their demise and the legend they leave behind that we need to remember, if only because of how significant that legend is. 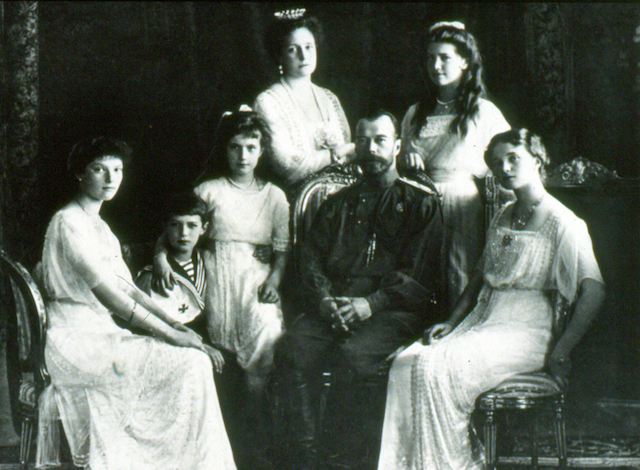 The Romanovs were the most powerful family — politically, economically and so forth — in Russia for more than 300 years. Essentially, they were a dynasty. Acquiring power in 1613, a Romanov ruled over Russia until March 1917, when Tsar Nicholas II was murdered. Nicholas was connected to many of the great noble families across Europe thanks to blood and marriage, with his most prominent relations being his English cousin, Prince George II, and his great-aunt, Queen Victoria. 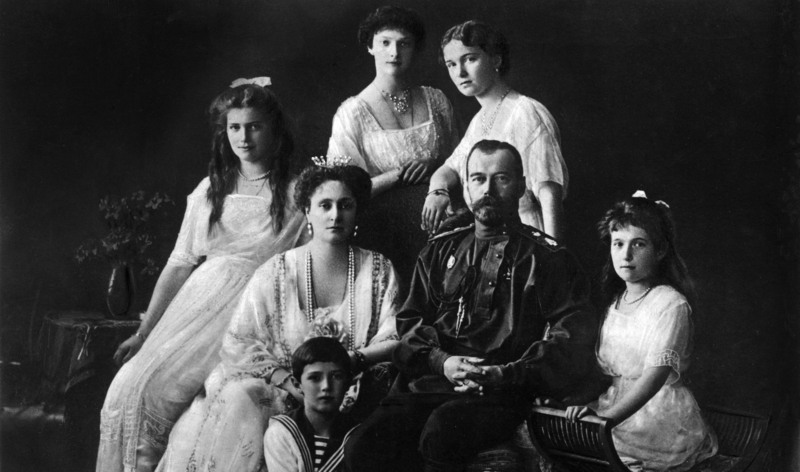 Nicholas and Alexandra had five children: Olga, Tatiana, Maria, Anastasia and Alexei. 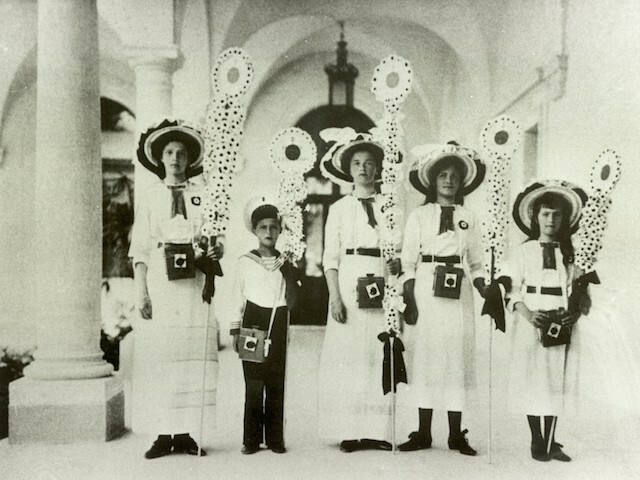 At the time of their deaths, the Romanov children were 22, 21, 19, 17 and 13, respectively. Alexei was also, sadly, hemophiliac. This meant he was often not allowed to do the same kinds of rigorous activities as his sisters because any kind of cut or bruise would endanger his health. Alexandra’s devotion to the Russian Orthodox church led her to connect with Grigori Rasputin, a man claiming to have mystic healing abilities. Alexandra frequently turned to him to help aid in Alexei’s recovery. 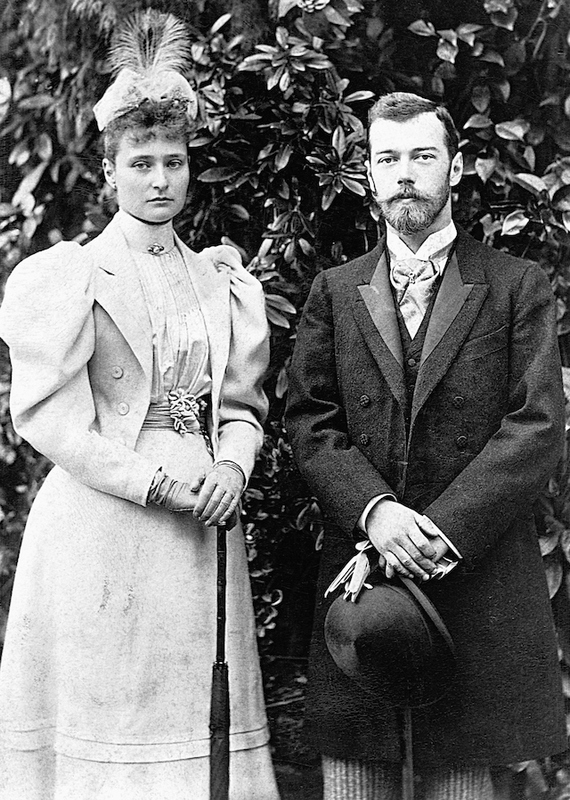 Considering their hallowed place as leaders of Russian society and politics, it’s only natural that the Romanovs were both deeply loved and despised by their subjects. At the turn of the 20th century and in the wake of World War I, Russia was working to get back on its feet in nearly every way possible. While Nicholas is remembered as a vain, selfish autocrat with desires to simply better the 1 percent (to put it in more modern terms), Alexandra’s religious fanaticism led to her own kind of selfish, insular behavior. The uprising of the Bolsheviks and the subsequent creation of the Soviet Union were birthed, one might say, under Nicholas II and his ruling of the Russia people. Anastasia is largely remembered as a bright and vivacious young woman. It’s reported that her birth was met with a fair amount of disappointment because she was a girl. While her older sister Olga had a more fiery temperament and Tatiana was a bit more reserved, Anastasia and the middle sibling, Maria, are remembered as lively and flirtatious. The pair were quite close, not just because of their ages (a two-year difference) but because of their spirited temperaments. They were reportedly known as “the Little Pair” in the family, while Olga and Tatiana were “the Big Pair,” and the younger sisters shared a room. 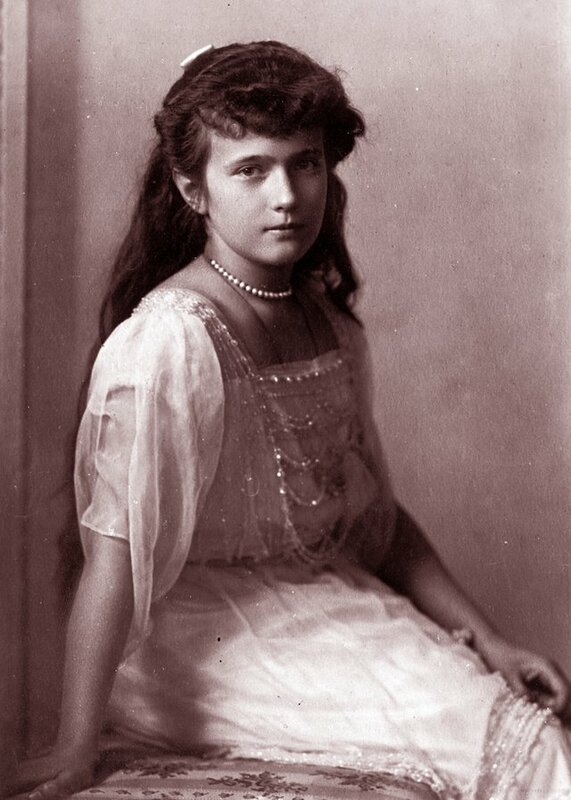 Anastasia is also remembered as mischievous, even when her family was in captivity at the Alexander Palace in Yekaterinburg in the final months of her life. A particularly striking excerpt from a letter she sent two months before her death offers a glimpse into her personality and how she was able to find a silver lining in any situation. “We played on the swing, that was when I roared with laughter, the fall was so wonderful! Indeed! I told the sisters about it so many times yesterday that they got quite fed up, but I could go on telling it masses of times. […] What weather we’ve had! One could simply shout with joy,” she wrote. 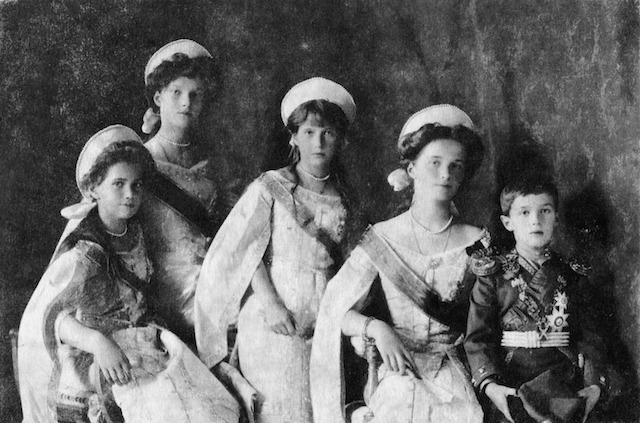 Ultimately, the extraordinary wealth and power the Romanovs enjoyed — and their complete disconnect with common Russians — contributed to the anger and discontent the notably poorer Russian masses felt towards them. In the wake of the February and October Revolutions, which saw the rise of the Bolshevik Party and the spread of Communism, the Romanovs were taken hostage. Nicholas abdicated the throne in March 1917, and the entire family was forced to relocate to the Alexander Palace in Yekaterinburg. They lived there for over a year, in exile and prison (depending on how you look at it), until July 1918. The family was awoken in the middle of the night on July 16 and ordered by Bolshevik forces to get dressed and gather in the palace cellar. There, the family was shot to death (presumably point blank or very nearly so), and those still clinging to life were stabbed. While reports vary, it’s believed that the bodies of the Romanovs were stripped of their clothing, stabbed further, mutilated and possibly violated before they were buried in two mass graves in the forests of Yekaterinburg. Of course, when Anastasia is remembered, her name conjures up grand visions of the twilight years of a great Russian monarchy, regal gowns, a life of privilege and quality and the close companionship of her siblings. Of course we remember Anastasia, not only because she was collateral damage to a revolution that swept through a nation but because of the sincerely bright spot she occupied in her family. While Anastasia likes to imagine a happier ending for the departed Russian royal, wherein she survives the Russian Revolution and reunites with her grandmother in Paris, Anastasia’s memory lives on in a very different way. In the years after the fall of the Soviet Union in the late 1980s, the graves of the Romanovs were uncovered in the forests of Yekaterinburg and the family was given a proper Russian Orthodox burial. Additionally, the entire family was canonized by the Russian Orthodox church in 2000.